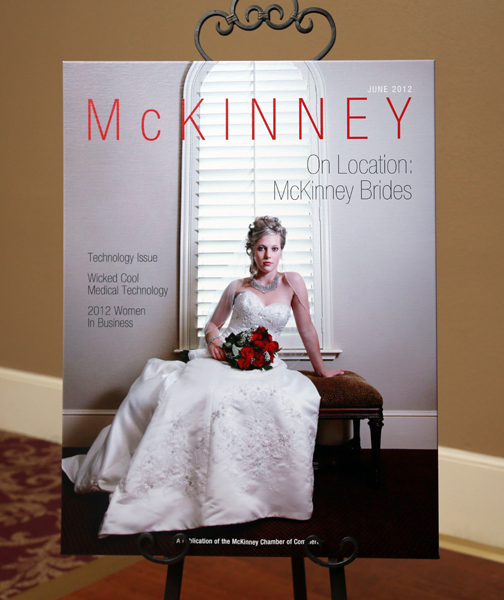 Earlier this month I was invited to the unveiling of the new issue of McKinney Magazine. I was excited that they were going to feature McKinney weddings in the new issue since there are so many great locations and venues for weddings in McKinney and was told they had chosen one of my photos for the story. I was pleasantly surprised when I saw that they had chosen one of my bridal portraits of Megan at the Grand Hotel for the cover. It is a great honor to be on the cover this month! Thank you McKinney Magazine.